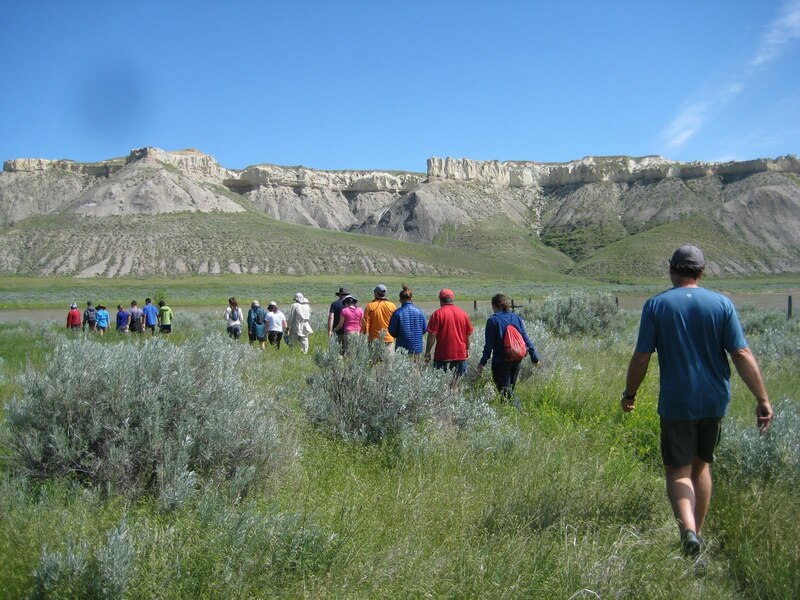 EUREKA, MT -- More than 30 travelers from Chrysalis School recently retraced 56 miles of the historic expedition once made by famed explorers Meriwether Lewis and William Clark. In 1803, President Thomas Jefferson sent Lewis and Clark to find a water route to the Pacific Ocean while exploring the uncharted West. Fourteen Chrysalis students, their fathers and a handful of school staffers took part in a summer canoe trip that retraced part of the famous expedition. Their water adventure began some eight hours from Chrysalis, the therapeutic boarding school in northwestern Montana. The Chrysalis group camped four nights along the Upper Missouri River, putting in at Coal Banks Landing, which is located about an hour east of Great Falls, Montana. "I feel like the father/daughter canoe trip was an adventure with deeper meaning," said Adventure Coordinator Julie Hughes. "I enjoyed watching fathers and daughters hold hands around the campfire, working together to get down the river and help one another around camp. This trip made me appreciate my father more than ever, even though he was 700 miles away." Chrysalis, located on a 65-acre campus near the Canadian border, is designed for girls who have struggled in traditional academic settings. Founded in 1998, Chrysalis provides individualized care and therapy for girls ages 13-18. Students learn to recover from different types of trauma and family difficulties. Chrysalis hosts students from across the U.S. each year. Education at Chrysalis includes traditional academic subjects, as well as lessons in coping with challenges, personal accountability, effective communication and interpersonal skills. Outdoor adventures like the Lewis and Clark canoe trip are part of the school's initiative to teach girls how to live an active, healthy life. Other trips have involved backpacking, snowboarding and horseback riding. Carrie Peters, a Chrysalis staff member, describes the Lewis and Clark trip as an experience the fathers and daughters won't ever forget. "The father/daughter canoe trip was different than our other adventure trips," said Peters, a member of the Adventure Staff. "It was encouraging and exciting to see the girls be themselves around their fathers. We had girls teaching their dads how to set up tents, how to play fun teenage games and even how to be comfortable talking about difficult topics. The camaraderie that was built over just a few days was wonderful." With a capacity of 36 girls, Chrysalis has helped hundreds of girls overcome their personal obstacles since its founding. "The impetus was to create a level of care that truly took care of kids in a more developed way," said founder Kenny Pannell. "Our kids do very well. Most of them go off to college following their graduation from Chrysalis."